LWO what would I do without you!. After 3 months of pumping my milk disappeared without a trace!. I resorted to similac well that was horrible on my baby’s tummy. She had blood in her bm. Doctor suggested to switch to gerber. That didn’t work, she cried and cried after drinking it. After endless weeks of watching my baby suffer. A miracle happened I found Gimme the Good Stuff, which lead me to you. I have ordered the holle 1 and leben about once a month. They are great, my baby has no discomfort and since starting holle she has never had the blood in her stool again. I live in NY, shipping takes about 3-4 days after it is shipped. Great customer service, Thanks Lacey! LWO has been a lifesaver!! I breastfed my son for 4.5 months but stopped after losing part of my kidney to cancer. I knew I hated most of the formulas out there and during my research for a better formula, came across Gimme the Good Stuff which recommended Hipp and Holle and LWO as a source to get it. I was overwhelmed with the idea of ordering it myself from Germany and how long it would take so ordered it from LWO. My little boy is now 7.5 months old and on Holle and doing great!! Customer service has been great and orders are usually received in 3-4 days. Couldn’t recommend LWO more highly! Thank you for providing this service!!! I am very satisfied and happy with LWO services. Lacey is very loyal to its customers and LWO indeed is the best place to order German Formula. I never had any issues with the quality or the delivery. I always stock in advance and admire Lacey notifying her customers in advance about the availability. Thank you, Lacey for your great service and commitment. I honestly do not know what I would do without Little World Organics. I live in California and unfortunately, all of the formula in the USA is made primarily out of corn syrup. I definitely did not want to feed that to my son, so I did a lot of research and decided that I wanted to feed him the European brand formula Hipp. My next problem was finding a reputable and trusted supplier! Along comes Little World Organics to save the day! Lacey is an absolute pleasure to work with and I trust her 100% to deliver the best formula to my son. And the best part is that the shipping time is only a few days as opposed to waiting WEEKS when ordering from other sites. 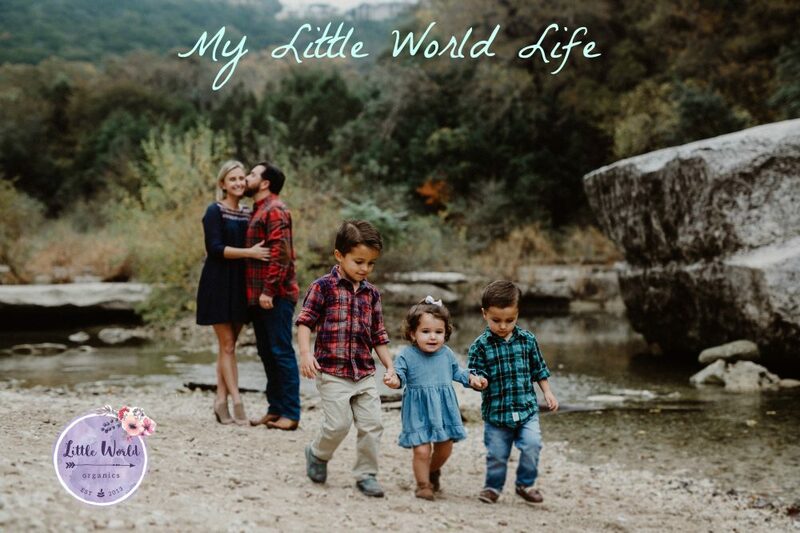 I really could not be happier with Little World Organics, and will be purchasing from them exclusively! I am so happy I came across Little World Organics. We are expecting our first child in March and this formula was recommended by our pediatrician as a backup to the Weston A. Price formula we will be using as our sons primary formula. After hearing about this formula I was so excited until I realized how difficult it can be to get in the US and the importance of finding a reputable/trustworthy supplier. In my research I kept coming across LWO and could not be happier with my experience and first purchase. I look forward to many more purchases through them. Thank you for your excellent customer service and quick shipping. I am extremely satisfied with LWO! At first I was hesitant about trying this out but after reading through the resources available on their website I decided I would give it a shot. The sensitive formula from other US brands was not a great turn out for babys stomach. My now 8 month old has been drinkig Holle 1 and Lebenswert when it is available. She is doing great and loves her formula. Milk supply always arrives within 2-3 days. You will never know what is best until you try it out for yourself 😉. LWO has been a life saver. I did a lot of research on formula and the best ways to purchase formulas such as HIPP and HOLLE after my son could not stomach any of the American formulas, not even the ones made for sensitive stomachs. LWO had such high recommendations and my own personal experience can only verify how well deserved they are. If the formula you need is not available they are very good at letting you know when it will be back on the order form or if there is an expected lengthy delay, they do their best to give you pre warning. Their shipping is fast and reliable as well. The site is also exceptionally informative on the different formulas they offer and where you can find more information which can be very helpful when you are first trying to determine which is the best choice for your child. They have really been a lifesaver for my son and myself. I’m very thankful for LWO. As much as I wanted to–and tried everything!–we couldn’t keep nursing after the 5th month. Knowing I was giving my baby the best formula made the transition much easier. And the speedy shipping combined with prompt, professional customer service gave me peace of mind. We found LWO through gimmethegoodstuff.org while researching into the best available formulas. We we’re happy with all that we read about the available formulas in Europe versus US. Next, research lead us to finding a reliable and honest supplier; we again found ourselves back at LWO. After 9 month, we have noting but positive experiences with LWO. Ordering has always been fast and smooth, and shipments are within a couple days. Keep it up LWO, we appreciate it! Love that I found this little company! Love that it is based in Texas and the customer service is great! Always responding immediately to my questions, fast shipping always! I was disappointed when my milk supply gave out at 7 months, but knew if I needed to give my baby formula I wanted to give him the absolute best. I’m glad I found out about LWO through gimme the good stuff. Lacey is prompt at responding to questions and shipping is fast. My baby loves the taste and I feel great about feeding him the next best thing to breastmilk. Like others have said before…I did a lot of research on the best formula when my milk production started to go down after returning to work. Through “give me the good stuff” I was able to find LWO and am ecstatic to have found a reputable source where I know my son is getting the best I can give. Thank you LWO! Having Holle and Hipp formulas in the US is a huge deal. Our babies’ tummies are smiling thanks to our efforts in bringing these oversees foods into our homes. Thanks Lacey for sharing your knowledge about European baby foods and for your prompt delivery on all of our orders. I have been ordering my son’s formula from littleworldorganics for the past 4 months (since his birth). I am extremely pleased with you service. Your ordering process is easy to use. I appreciate knowing your stock ahead of time and I always receive my order very quickly. I would highly recommend your site. Thank you so much for making it easy to provide my son the best formula available. At 4 months my son quit nursing completely, after exclusively pumping until he was almost 9 months old, I just couldn’t do it anymore! I tried Enfamil and he was just miserable and so gassy. I was going to try their gentlease formula but couldn’t get over how the first ingredient is corn syrup! I am so grateful to have found Lacey at LWO. To know that she too is a mother who only wants the best for her children. She was so great about communicating with me and sharing her advice and recommendations, and answering my questions. The service is wonderful too, super fast shipping! I can’t say enough great things about LWO. I’m very passionate about this site and love to introduce people to it! My little one couldn’t latch and all American formulas upset her stomach. Our lactation consultant told us about Little World Organics, so we started ordering HiPP formula. What a difference! I’m also happy that I can support another fellow-mama trying to do best by her babies! Thank you! Thank you Lacey && LWO! I was devastated when my milk supply had decreased due to returning to work @ 7 months. I was not going to buy any American Formula because I knew of all the synthetic and GMO ingredients! I was so happy to find LWO! My baby has no problems with Holle 2. He’s never constipated and never spits it up. They understand that our babies deserve the best and their service is unbelievably wonderful. I always get my order within 3 days. And the prices are very reasonable! I recommend them to all new mamas if BF is not an option. So thankful for LWO! Very prompt, helpful and knowledgeable. If your little one is struggling with American formula, I highly recommend giving HIPP at try. We’re really glad we found LWO for our formula needs. My 6 month old baby loves the Holle formula and I’m so glad we know that we’re feeding him something organic and of high quality. Thank you LWO for making me feel better as a mom and making the ordering process so easy! Thank God for a company like Little World Organics! Especially when you live in the United States. Besides being able to get great formula options, Lacey is always there to help an any questions or concerns. I started ordering and stocking up on formula during my pregnancy last year. I’m so glad that I did the research and found Lacey!! Thank you so much! !